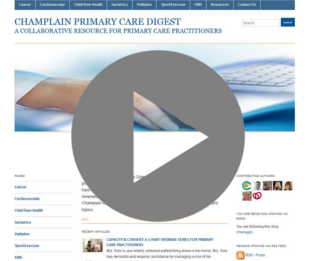 The Champlain Primary Care Digest ­is a website for physicians and primary care practitioners. Here you will find information on a variety of health topics relevant to the care of patients in our region. Articles are written and reviewed by a team of regional primary care leads, in collaboration with the Champlain LHIN. We welcome your comments and suggestions for future topics. Enter your email address to receive updates when new articles are posted.